The PreCure blogging will be delayed for a while. My partner in crime Potsticker has been trapped inside a mirror. But most of you are just here for the scanlations anyway, and I’ve got a new chapter for you! Our very own Potsticker has now purchased four volumes of manga from Honto.jp, and we can now give you a shipping estimate! For four regular manga-sized books, the shipping cost from Honto to the west coast of the United States is 980 yen, which is roughly $9.48 USD. This is a LOT cheaper than Amazon’s shipping rates, and this is a good deal! The only caveat is that Honto does not provide an estimate for the shipping charges before they bill you, and the actual price will vary based on the weight of your order and where you are located. Nevertheless, the shipping price is unlikely to be more expensive than Amazon, so if you want to support the author and get your hands on a physical copy of Shinozaki you can read on the bus or cuddle with at night, then Honto is probably your best choice to buy it from. There isnt a lot of things to talk about this chapter. It’s very light on the references and it mainly focused on Akina being a spaz. There are a few small things of interest though. The list of top ranked students here is mostly people we’ve never heard of. I can’t find Kaede or Micchy’s names on this list at all. But there is one name other than Akina’s that we’ve seen before. Hanayama Rabumi from the soccer chapter is on the list, as Rank #6! You can also see the back of her head just off to the side in that panel. So it seems that she is also smart and strong. It’s just too bad she looks like a Prepure monster. Kaede talked to Moe about “Red and White”, which were the colours of the original Prepure team, mentioned way back in the very first chapter. The original PreCure, on the other hand, were Black and White, rather than Red. I still don’t know why the author went with Red instead of Black. Lastly, does anyone else notice that Konatsu can’t seem to keep her hands off of Touko? Like, literally in half the scenes they appear in, they’re always touching each other in some way. I’m not implying anything… just pointing it out. That’s a lot of “skinship”. Thanks for the chapter! It’s great that Akina’s friends have gotten to know each other now. I also noticed the ton of subtext about Touko and Chinatsu (Chinatsu’s even the one who’s brought up girl x girl love or couples several times) but then her frequent references to mixers keeps me guessing. 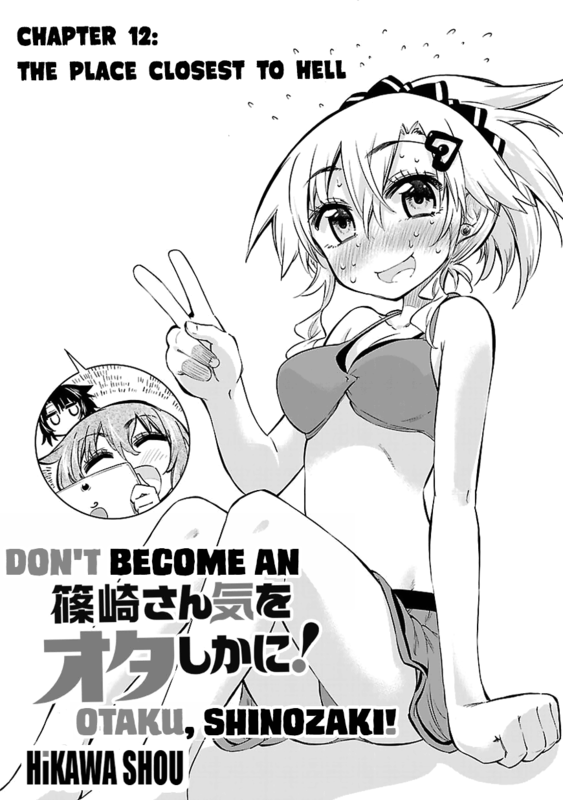 As for the end of the chapter, it’d be some important development if Akina really confessed that she “isn’t” (lol, more like “wasn’t”) an otaku so I’m looking forward to whether she’ll go through with it. I just placed an order with Kinokuniya. I’ll let you know how that turns out. wrt you last point: yes, yes, yes! And in _my_ imagination, Konatsu is the seme. Maybe the author could be talked in to a side story someday. Very awesome, thanks a lot for the new chapter!! pg 17: “can you believe that stage show? I (?) they were putting on something actually good, not otaku crap.” there seems to be an error in that sentence. I suspect after “I” follows “wish” then the sentence would make sense.